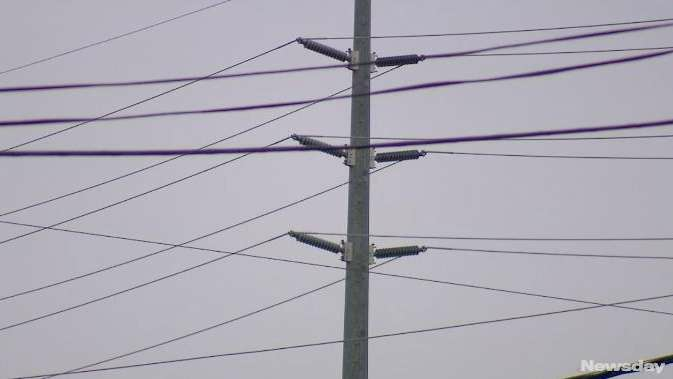 PSEG Long Island has decided against a controversial plan to erect utility poles up to 79 feet tall to replace a failed underground line in East Garden City, informing Hempstead Town officials that it will replace the existing underground line instead. The move Wednesday came hours before PSEG officials met with residents in Uniondale to discuss the new plan and answer questions about the project. PSEG spokesman Jeff Weir said the above-ground cable was a less-expensive alternative proposed for six-tenths of a mile along railroad tracks in East Garden City and Uniondale, nearly 300 yards away from homes. The 60-year-old cable could not be repaired. The utility worked with the Town of Hempstead to schedule public meetings with residents before scrapping the plan. PSEG is conducting an engineering analysis to add a long-term solution. "Typically underground cables are more expensive than an overhead solution, but this doesn't appear to be cost-prohibitive," Weir said. Hempstead Supervisor Kate Murray said the town and PSEG listened to residents and called the underground cables "a total victory for residents. "They no longer have to worry about poles looming over their homes," she said. In a letter to Murray, PSEG Long Island president David Daly said the decision was based on concerns about the overhead lines. PSEG, he said, will conduct a "detailed engineering analysis of an underground replacement. Barring any unforeseen complications, we plan to move forward with the in-kind, underground replacement." PSEG never said the plan to install poles was never final. Saturday, Murray, Rep. Kathleen Rice and other officials staged a protest in East Garden city with residents. The problem arose when a 69,000-volt cable along a LIRR right of way failed, PSEG said. The line provides power service to the Nassau University Medical Center. "In situations like these, we typically first evaluate whether a repair of the existing cable is viable," Daly wrote. "If not, an in-kind replacement of the existing circuit is then evaluated and recommended." He said the overhead line was considered "given the location of the existing circuit is away from residential areas, and the fact that the entire length of the project will follow a LIRR right of way." Repairing the existing line was not an option, he wrote. Opponents also disputed PSEG's claim that utility poles would "harden" the region's electric system against hurricanes. "In fact, we question the competence of any utility that would suggest the replacement of underground facilities with those above ground in this area would result in hardening," Murray wrote in an earlier letter to PSEG.